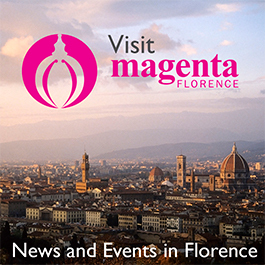 Through March 9: L’ELBA IN VETRINA (ELBA ON DISPLAY): restaurants in Florence, and Settignano. Cost: €35 includes wine. Reservations required. A cuisine and wine exchange between the Tuscan mainland and the islands of the Tuscan Archipelago, inaugurated in January with local restaurants hosting island chefs, beckons epicureans to sample culinary specialties and wine from the islands. Elba Taste, a consortium created to support and enhance the food and wine of Elba and the Tuscan Archipelago, comprises a network of small producers, growers and restaurateurs who deliver and promote their quality products. Famous for its beaches, mines and Napoleonic history, little is known of the islands’ heritage of wine and food, but Elba Taste strives to bring their culinary culture to the world, beginning with the Tuscan mainland. The Elban chefs will prepare dishes based on island seafood—risotto with squid ink, baccalà, or salt cod, polenta with sardines and the classic octopus Elban style. For dessert diners might choose panficato, a specialty from the island of Giglio made of sun-dried figs, grapes and orange peel mixed with almonds and honey. Local legend states the recipe changed in the 1940s when American liberation forces arrived on the island bringing chocolate, which was then added to the dense, chewy dessert. Another island favorite, schiaccia briaca, rumored to be a legacy of the Barbary pirates who marauded the Mediterranean from the 13th to 16th centuries, is dessert bread containing walnuts, raisins, pine nuts and local Aleatico wine. The best wines of Elba, chosen to accompany the individual menus, can be also enjoyed. Elba today produces a million bottles of wine yearly. The most well known, Aleatico, a sweet red wine with an aroma of roses, consoled Napoleon Bonaparte during his exile on the island. Arsonica, a white fruity wine and vermentino are also typical of the archipelago. Recent archeological discoveries have unearthed ancient wine aged in terracotta, which has prompted an Elba vineyard to do the same.